How Are Antique Chattels Valued? | Wilson Auction & Realty Co, Ltd.
How Are Antique Chattels Valued? It can be difficult to put a price tag on many antique chattels prior to holding an auction for them. In most cases, you might not have any idea what specific antiques are worth. It’s not like you can simply run to the store and see what they are going for there. Instead, you usually have to do some research on the items you plan to auction off before coming up with a fair price that will attract bids. As long as you do this, you shouldn’t have any problem getting people interested in your antique chattels. Here are some ways to value items. Research your antique chattels to find out more information about them. The first thing that you need to do when figuring out the value of an antique is try and figure out exactly what the item is. If you can get a general idea of when an item was created, what it was used for, and where it originally came from, you will be well on your way to finding out the value of it. This part can take some research since you probably won’t be able to simply look at the item and find out all of this information. Nevertheless, finding the back stories behind antique chattels is the key to finding the value of them. Take a look and see if you can find similar auctions for your items. Once you have some information on antique chattels, there’s a good chance that you can find similar auctions that have been held for them in the past. You might not be able to track down auctions featuring the exact items in your possession, but more often than not, you can find auctions for items like yours. They can give you a better idea of what people have been willing to pay for the chattels. 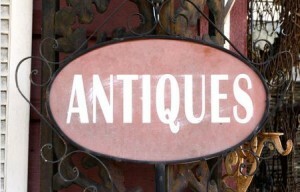 Speak with an antiques appraiser. If all else fails and you can’t find the value of antique chattels, there are many antique experts out there who specialize in appraising antiques. They have the experience it takes to identify them and to give you a ballpark estimate of how much they are worth. There is an entire industry based on antique items, and those who operate in it have a lot of knowledge about how to value antiques. Are you struggling to figure out the value of antique chattels? Wilson Auction & Realty Co. has years of experience when it comes to holding auctions, and we can help you with figuring out the value of your items and putting them up for auction. Call us at 866-870-5500 today to learn about our antique chattel services.